Final Fantasy creator Hironobu Sakaguchi has given his video game developing career an unprecedented third revival following the successful launch of Terra Battle in Japan. American fans can jump in on the fun when the free-to-play strategy RPG launches for iOS and Android on Oct. 9. 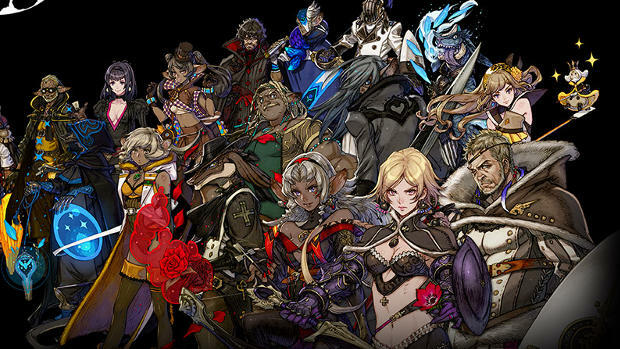 Terra Battle boils the ideas of Final Fantasy Tactics into a smaller, puzzle game package. Characters have no limit on how many blocks they can step over in a single turn, but they are limited to only four seconds of movement. So far, reception has been very solid in Japan. The free-to-play version of this game will be adding more content as it becomes more and more popular, but the truth is that this is just a gateway to get Sakaguchi back to where he really wants to be developing… on the HD consoles. He has stated that if Terra Battle scores over two million downloads, then he will bring it to more traditional gaming platforms. You heard him, folks! It's free! Take a few seconds to just download it even if you do not want to play it! We all need more Hironobu Sakaguchi in our lives. By the way, what are his past revival attempts, you ask? Well, the most recent happened after Final Fantasy: The Spirits Within bombed hard enough to force him to resign from Square Enix, and he rose from the ashes to form his current company Mistwalker. This led to a handful of decent games in the previous generation like The Last Story and Lost Odyssey. His first and most famous revival was when he created Final Fantasy itself as a last ditch attempt to save Square from perishing after a string of unsuccessful action games. He is a man who just does not know when to quit, and shines brightest when he is put in a corner. The last time Sakaguchi made something was a throwaway surfing game on mobile devices that nobody wanted anything to do with. Terra Battle, though, is a full-blown puzzle RPG with all the classic tropes from the man himself. Excellent character art, an old-fashioned yet dimension-bending storyline, and even music from Final Fantasy composer Nobuo Uematsu himself. This is how we want to see Sakaguchi return, and how he evolves from here depends on fans' participation. Download Terra Battle this week on Oct. 9, and help one of our greats get back on his feet.